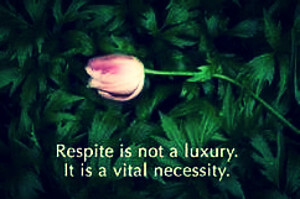 Respite care is designed to help families. Caregivers often face serious problems and stress as a result of balancing the needs of their older loved one with the needs of other family members. These breaks, that respite care provides, allow families time to tend to the needs of their children, spouses, and themselves. Connections Area Agency on Aging can assist with respite services to provide temporary relief for families of adults aged 60 and older with special needs. Respite care can range from a few hours of care provided on a one-time basis to overnight or extended care sessions. Respite care can be utilized on a regular or irregular basis and must be provided by skilled care providers or professionals.